Dubai: Authorities have blocked a number of websites which were broadcasting live footage from CCTV cameras inside houses and companies in Dubai and breaching the privacy of people, police said on Wednesday. Major-General Khalil Ebrahim Al Mansouri, Assistant to the Dubai Police Chief for Criminal Investigation Affairs, said the police had noticed some websites from outside the country were broadcasting live visuals from CCTV cameras. “The cybercrime department investigated the matter and arrested some people who had installed the cameras for individuals and companies. They didn’t intend to breach the privacy of people but they were ignorant about their job and lacked experience which helped those sites to hack the cameras,” Maj-Gen Al Mansouri said. He said the technicians who installed the CCTV network were not qualified for the job and did not provide the safety system. This helped the hackers who established connection with the CCTV networks for live broadcasting from homes and companies. He said the police discovered that the technicians who installed the cameras had not made the house owners to change the default usernames and passwords after installing the CCTV networks. However, the police did not say how many sites were blocked or how many such incidents were reported. The police urged families and companies to use certified companies to install CCTV cameras to avoid such problems. 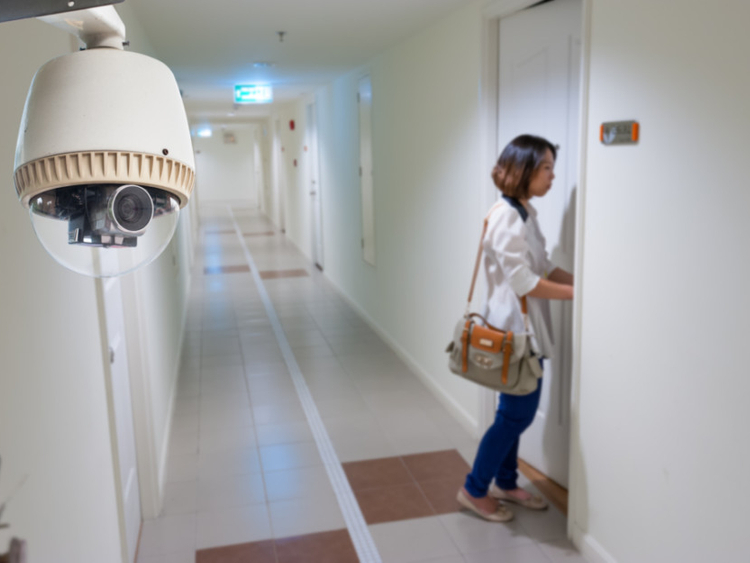 Lieutenant-Colonel Salem Bin Salmeen, deputy director of the Cybercrime Department at Dubai Police, said there are programmes to decrypt cameras’ footage and broadcast from inside houses or offices. “Hackers can use CCTV footage to blackmail people shown in such videos. It is better to use certified technicians to install the cameras as they can provide the user with strong usernames and passwords to thwart hacking attempts,” Lt-Col Bin Salmeen added.